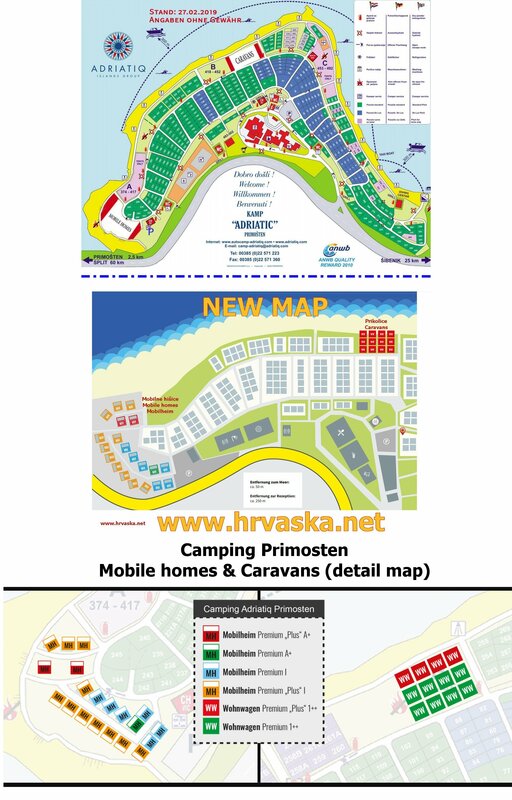 Campsite Adriatic is located 2 kilometres north of Primošten. The camp is located on the coast, with most of the camp situated within a small and lush pine forest. - 2 bedrooms - one with a french bed and one with a bunk bed. - Distance from the sea - 30 - 130 m.